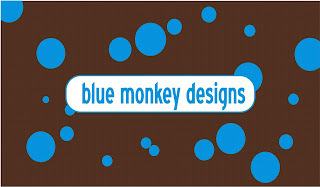 Blue Monkey Designs is a Saskatoon business specializing in designer diaper cakes and baby gifts. In lieu of flowers, send new parents a more practical Blue Monkey Designs Baby Bunch Bouquet with baby clothing creatively rolled to form flower buds. Or, consider my favourite, a set of four onesie cupcakes displayed in a cute cake box making it look almost good enough to eat. Blue Monkey Designs also creates baby baskets, towel cakes and other shower favours. A Blue Monkey diaper cake makes a cute and useful centerpiece for a baby shower gift table. 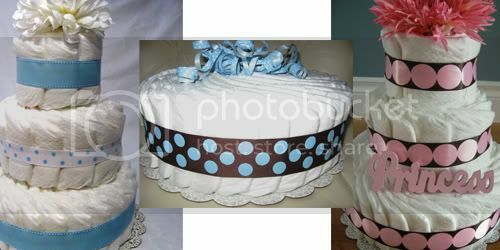 Blue Monkey Designs is offering saskmom.com followers a 10 percent discount on all diaper cakes. Mention this exclusive saskmom.com offer when placing your order online, via e-mail or by phone at 306-955-0925.